Time Well Spent by Lesa: I have been busy!! 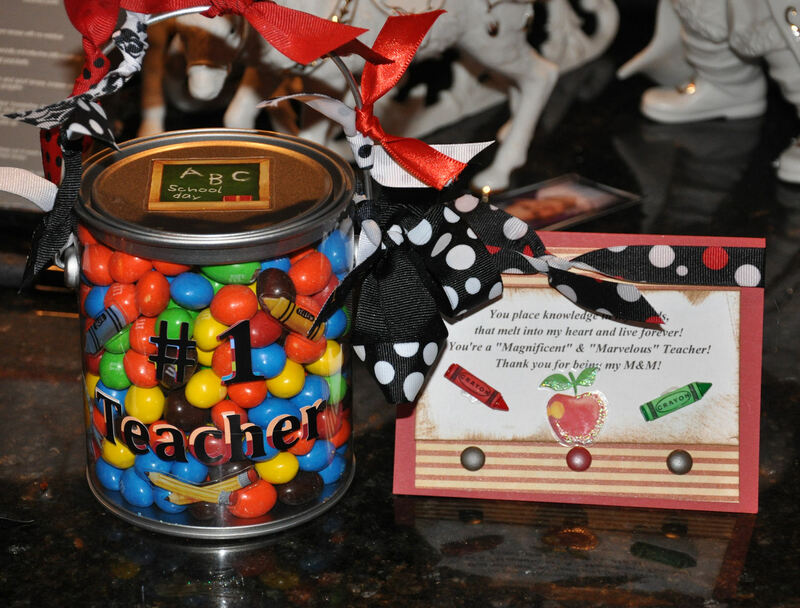 You're a "Magnificent" & "Marvelous" Teacher! Brown is for wiping away my Tears. They were awesome I made 5 of them for teachers and aides. 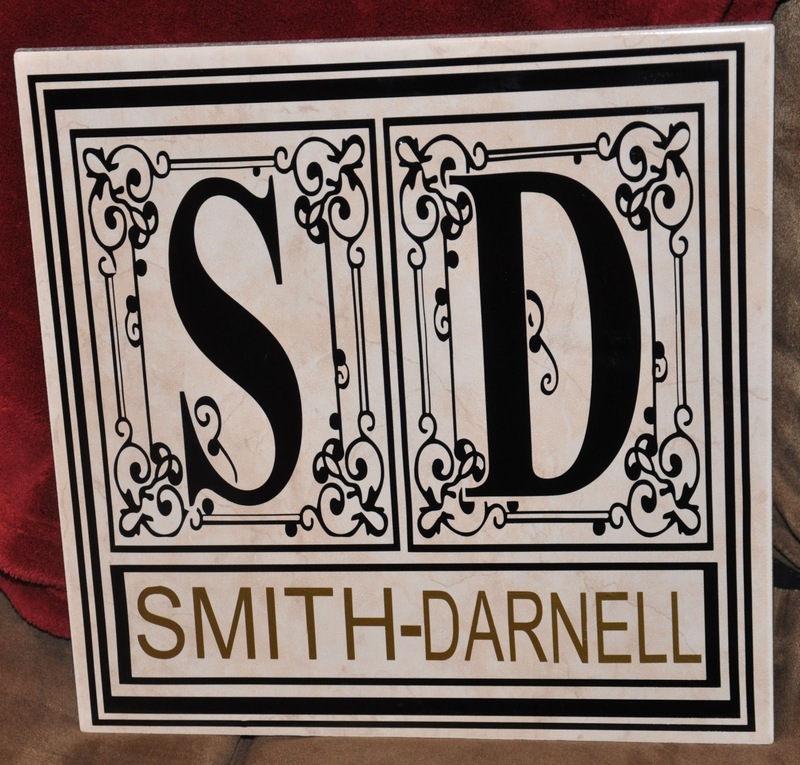 Then another night my hubby asked me to make tiles for some of his business contacts for Christmas. I was stressing about it because it was so closed to Christmas but I was able to do all 4 in one night. They turned out beautiful. 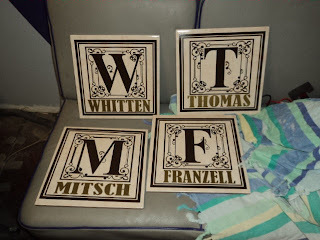 The next night I made 2 more for my boss and a relay for life auction at work to raise mmoney for cancer treatments.. 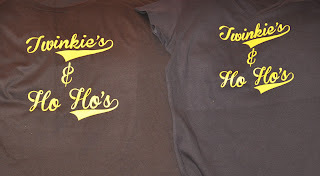 The next night I had some friends ask if I would make some t shirts for them as they are doing a volleyball tournament and their team name is the Twinkies and Ho Ho's. 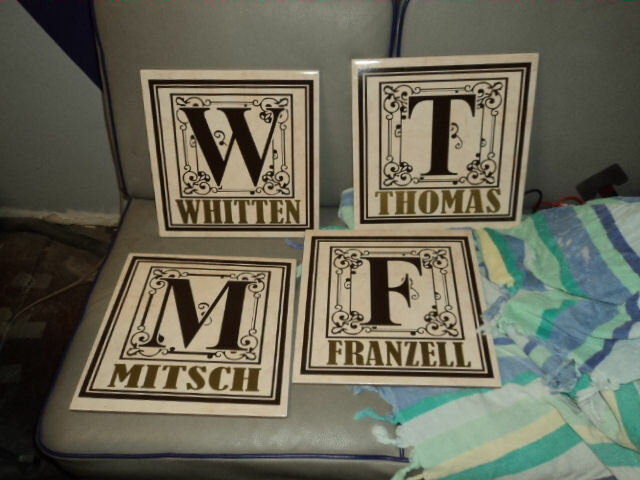 LOL I made them 7 shirts and they to came out real well.Then I made my boss a tile that was a double one because she hyphenates her last names and I didnt know how to work that out so I just did a double letter and it turned out pretty cool. 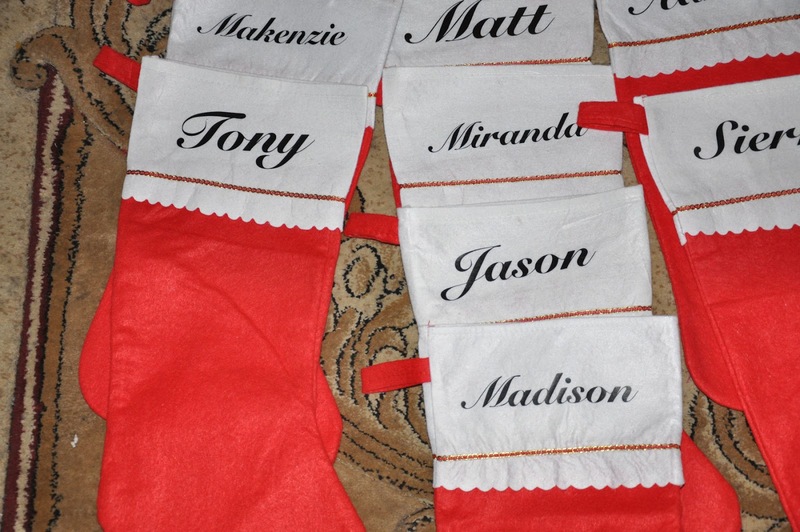 Tonight I put names on new stockings for my family. 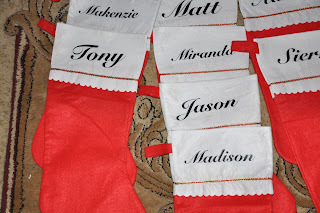 I have looked at new stockings for a while and I didnt even think of putting vinyl names on them and they turned out really well. 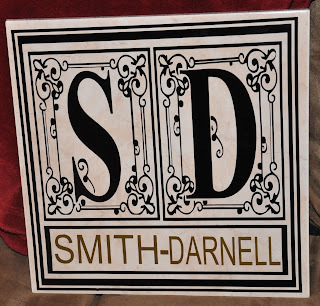 I think I have been more creative this week than i have in 6 months. I had a very productive week.